two but for a fool-size with 3wd it did fine! their long drive home back north. let everyone pass. It wasn't a big thing really, but it was a thing. just turning around and going back out to Loon! I had to head south though! Unfortunately, those "fine gentlemen" take a lot of the greatness out of doing the 'Con. When I first started going in the early 90's, it wasn't a problem, but with the advent of cheap powerful stereos systems with "wake board" speakers, now you get to hear everyone's music. The exit from Observation Point is everyone's least favorite part of the trail. Too rough for any speed and not rough enough to be a challenge. Looks like a great trip and I am glad to hear that the truck worked out so well. We still had fun though. Truck is working very well. I was really impressed for its first time out. I still have a list as long as my arm of little things I want to tweak, improve, or add. They are never done till they are sold. Anyone want to buy it? That's a solid shake down run for your build! Thanks for the thread. Good work! 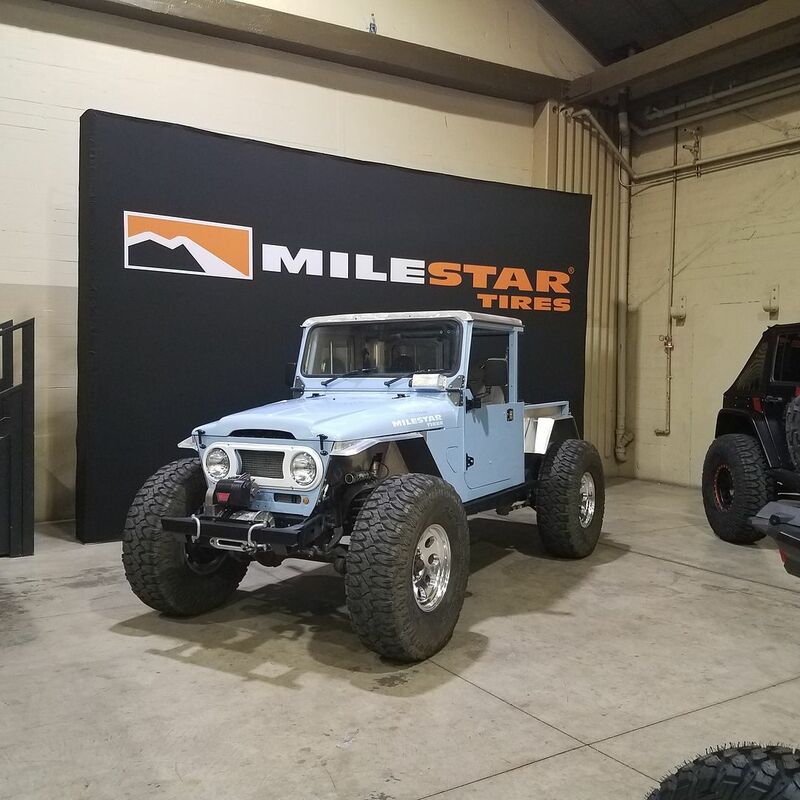 I was really fortunate to be invited down to the Off Road Expo show in Pamona, California by Milestar Tire to display the #LX45 in their booth. I was a really awesome experience overall, and another bucket list item to check off for me. I have to admit, I was very nervous to have thousands of people, including some BIG industry players look over my little garage build. In the end it went great. I actually got to work into the booth both days and interact with people asking questions about the build. Lots of people where very impressed that I drove it.....now some 1650 miles out to the show. 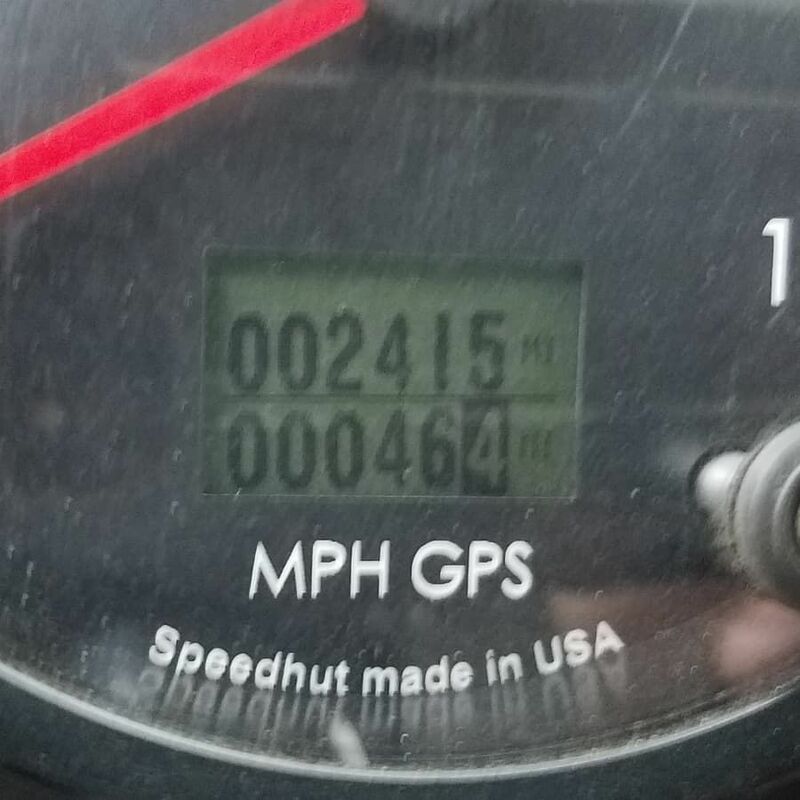 The return trip back home to Colorado brought the final total for the shakedown run to just over 2400 miles! Overall, for a first run, I couldn't be happier. corner speed signs without any issues. the original wheels would make things even better. suspension as it articulates or hits bumps. critical area. That would be a good winter project. really good, especially with no seat time. 6-10 speed transmissions. The new transmission tune feels even better. isn't bad, but I can feel it. having to 3 point much if at all. seem to lock and unlock ok.
handles the medium hard stuff. Power. The 5.3 feels about right, but isn't a silly amount of power. wouldn't want much more on this chassis.....but I am happy I did a v8. Aeroforce Interceptor, but I think I can generally forget about it. That was actually one of the bigger worries for me honestly. It does my heart good seeing this rig out and about doing what it was designed to do. You should be proud and have a smile glued on your face! Metcalf, great build and awesome trip report! This and rango have to be two of my favorite builds of all time. Would you mind telling me a bit more about your buddy's old ford? I have a '78 f150 shortbed that I think would look pretty cool with an aussie (think PCOR) tray. I don't want to muck up your thread, so PM is fine if you'd prefer. I'm especially curious about his drive train and suspension choices. Again, great build, and I'd love to see more pics and video if you have them! curious only... how was fuel consumption? Metcalf, great build and awesome trip report! This and range have to be two of my favorite builds of all time. The big ol' ford is pretty simple. 351 v8, 4spd granny, np205, D44 front, 9 inch rear. He did 5.38 gears with a spool rear and an auto locker front. Leveling springs in front, cut fenders, shackle flip in back, and a 37" tire. It is very simple, it works pretty dang well. He doesn't care about the body really, so that allows him to go a few more places he shouldn't. It needs lower gearing for rock work, a 2:1 crawler box would be about perfect. He also needs alloy front shafts with good joints and full circle clips.....or an RCV axle set.....or a D60. 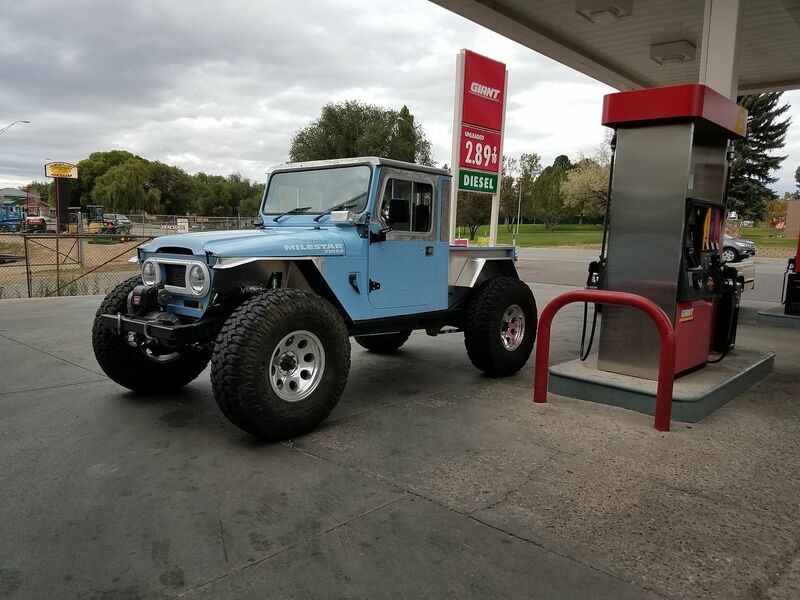 13-15mpg at 70-80mph up and down everything pushing a 40" tire at about 23psi ( to keep wear even ). It is also full time 4wd so all the front end stuff is always turning. I built a pretty big tank for it ( about 27 gallons ) and I am happy I did. The big tank gives me an honest 300+ mile range without having to push it.